Build a winning culture. That's the hard part. losing has worked so well for us in the past. Do you want to keep losing for the next twenty years, build a mediocre almost .500 team that keeps you thinking next year is the year only to finish just under .500, or build a competitive team that wins above .500 with playoffs for the foreseeable future? Sorry kids, these things don't happen overnight and this team has been poorly run since 2000; takes time and drafting! I don’t think you really need to hope they lose. Just relax. They are gonna lose. This is the BEST post I’ve seen on here in a long while! Classic! If Allen is healthy he should be in the game and every game from here on out. Talented or not he gives us the best chance of winning which we should be teaching these guys to do, if Beane is a good talent evaluator which from his short tenure here it looks like he is (Edmunds, Allen, Harrison, Johnson) then he can find talent throughout the draft. I'm not on board in ever rooting for a loss or trying to get a loss. While I can handle some of the inevitable losses we will suffer in our remaining 7 games, and see the silver lining of improved draft position, this organization after its shocking playoff appearance last year will be better served by a 5-11 season than a 2-14 season, as crazy as that sounds. As for Josh Allen, I would prefer to see him sit through the bye week, and want the decision to play him based on his development, and not 2018 season goals. I don't think there is any clear NFL roadmap as to watching the first year vs playing the first year, so McD can decide based on some of the little personal things along with health, and I'm fine either way. But we aren't going to be drafting a franchise QB this year, where the difference between #1 and #2 and #5 really matters, and position player drafts in the top ten are a crap shoot, so I am not rooting for a loss any game all season, and that strategy I think we should start all referring to as the Losers Fallacy. 2012: Richardson 3, Kalil 4, Blackmon 5, Claiborne 6, Barron 7, Kuechly 8, Gillmore 9...I'm happy picking 8 or 9 in that draft too. 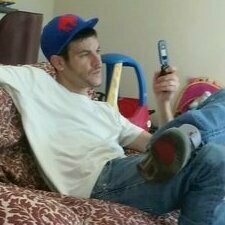 2014: Clowney 1, Robinson 2, Watkins 4, Mack 5, Matthews 6, Evans 7, Gilbert 8, Barr 9, Ebron 10, Lewan 11, Beckham 12....if you were going to trade up to #4, I wanted to pick Mack on draft day, and if you are picking 5, 7, 12 in this draft you are fine too. A higher pick is always a great thing to have, and I'm rooting for the Giants, Raiders, Niners, Cardinals, Browns, Jets to help us out with some meaningless wins in the next few weeks, but not picking a QB, improving draft stock by tanking and being a joke of a team doesn't really add up to a winning future. Same. I think we're playing bad enough to possibly land there naturally. And as a Houston Cougar season ticket holder, I'd be pumped if we got Oliver. But I'm not gonna advocate for a tank. These guys need to win to build confidence, as cliche as that sounds. I'm rooting for them to win and show improvement in every area possible. If we land a top pick when the season ends, cool. But that's not the endgame I'm rooting for. Lets not win another, hope Oakland wins a few more and we grab the top overall pick. With ten total picks the Bills will be in a very good spot. No kidding right? Someone who actually watches the game and understands what a dumpster fire our offense and special teams are. No it isnt, dont you just flip a switch and it's a winning culture after losing for years and intentionally losing for picks? 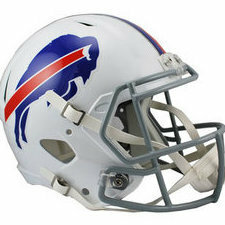 Maybe for you; me I want a team that competes much like the 1990's Bills; I have watched three Bills teams rebuild after dismal seasons much like or worse than 2018. Lot of fun once it comes together but it takes time and most of all patience! I'd rather watch 2018 with hope than yawn through 2001 - 2016 knowing the end each December! It doesn't really matter about wanting losses,,because NO ONE in the NFL is trying to lose games on purpose. Teams may not have the same talent level but those who are playing, and coaching are trying to win. These guys jobs/careers depend on it. Losing and non-production gets people fired and/or smaller contracts. I can guarantee that McDermott is desperate to beat the Jets this weekend as are the coaches for the Raiders, Cardinals, Giants, etc.. The Jets were 7 1/2 point favorites, with Darnold out does it go to 10 or 10 1/2. A top 3 pick is an asset that can be used or sold to the highest bidder. I'd love to see us lose out, and I want Allen playing ASAP. This season was over on Week 1 and all that can be gained here on out is top draft picks. The sooner this organization gets to the day that they realize "Josh ain't it" the better off we all are. 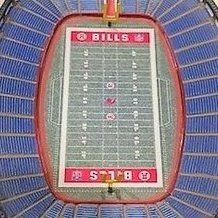 The Bills are one of the best in the league at losing football games right now. I don't think this will be a problem. Doesn’t prove they got better while sitting. Rodgers improved as he continued starting. Mahomes was raw ( kind of like Allen in that regard) but probably was ready at some point last year after seeing things on film etc. They should have sat Allen for at least half the year, but famously screwed it up. There’s no point in turning back now. Allen isn’t going to improve by watching the worst NFL offense in generations do its thing. Well stated. Timing once again doesn’t appear to be on the Bills side. They need offense, and that’s not the strength of this draft. Live reps are critical for Allen if they’re going to show any improvement next season. Find out which players can at least be backups as most of the offensive starters should be replaced. But playing on the worst offense will. Those guys sat. You can only guess as to the outcomes if they hadn’t, which you did leave murky. I believe more QBs have been ruined by force feeding than sitting. You don't understand what tanking means. What do you mean, "find a way". That will happen regardless. If anyone thinks there's another win on that schedule, please send me what you';re on. I've never seen a more inept offensive line, wide receiver group, and offensive coordinator on all my life. Such a sad thing to see the defense we have wasted on such a group of Bums, especially Benjamin, he's flat-out garbage, of the sun-baked and hot variety. Fans want to "shelve" Allen because they're nervous he's gonna look like garbage. The sooner we find out what we have, the better. Nobody is expecting him to light up the scoreboard with this offensive roster. He should be expected to show growth and competency. As much as I think Allen should sit the year, it's almost too late for that unless he's really hurt. For Allen to be shelved permanently without hurting his confidence & ruining him permanently, it would've been better had we not played him at all. We should've had Anderson in the offseason & hung on to McCarron so we had a reasonable excuse to keep Allen benched. Now it'd look like the team doesn't have faith in him, and after everything else we've done wrong. I don't know anymore honestly, he never seemed like a great pick in the first place. On top of that, our coaching staff has made every bad decision in the "ruin rookie QB forever" playbook, so salvaging this mess is going to be hard to do. If Allen is ready, I'd say play him, but only if he is ready. If that means wait until after the bye week, then fine also. I always thought that a few games off would do him good. This may be the best case scenario for his development...get him playing a handful of games...so he can see what regular season action is like...then have him take a few games off to digest things. He should be able to look at the game in a different (better) way from the sidelines these past few weeks because he WAS in there for a few games..rather than having to sit on the sidelines form the beginning. So he's had a few weeks off now...where during the week he can study/analyze defenses and game tape...and not spend most of his time learning a specific gameplan or running a scout team. Is it good he was injured...of course its not good but the time off ma have helped his development. If it is beneficial to lose, rest assured, this team will find a way to win. So by losing most of their games they will become a winning organization.... like Cleveland did? So if Allen comes in and plays well, we win 4 or 5 games the rest of the season and that would be bad?